Dubai, July 24 (IANS) Indian women’s team captain Mithali Raj was named skipper of the ICC Women’s World Cup 2017 team with all-rounders Harmanpreet Kaur and Deepti Sharma in the side, the International Cricket Council announced on Monday. 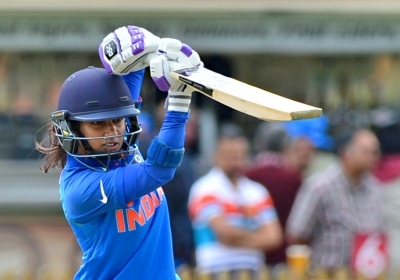 Mithali led from the front, scoring 409 runs in the tournament to power the Women-in-Blue to the final, which they lost by a mere nine runs against England at the Lord’s on Sunday. Among others, the ICC side has four English players, including Player of the Tournament Tamsin Beaumont, Player of the Final Anya Shrubsole, wicket-keeper Sarah Taylor and left-arm spinner Alex Hartley; three from South Africa, including opener Laura Wolvaardt and bowlers Marizanne Kapp and Dane van Niekerk; and Australia all-rounder Ellyse Perry. Mithali Raj, Sarah Taylor and Anya Shrubsole have been picked in the Team of the Tournament for the second time in their careers. Mithali and Sarah were selected in the Team of the ICC Women’s World Cup 2009, which England won in Sydney in 2009, while Shrubsole was named in the Team of the ICC Women’s World Cup 2013, which Australia won in India in January/February 2013.